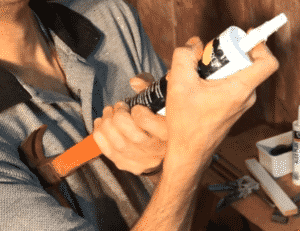 So many types of caulk, but what is the best caulk? Let's simplify it. 1- BEST PICK: COX, The Best Caulking Gun. Period. 2- BEST VALUE: HIGH Q, MEDIUM $. Cox, made with English Steel. First, how much caulk to buy? One tube would last me 1-3 average rooms (of re-painting). We only discuss the 10-11 oz. size tubes here: none of the quart size “large” tubes you see in the photo above. For a very straight line between two colors, such as the ceiling and wall, we lay a bead of caulk in the corner. We caulk all trim/wall joints needless to say. You cannot store unopened tubes for years: see our other post all about caulk and on how to do the caulking, how to buy the right caulk gun and how to load a caulk gun. Note that caulks with silicone, even paint-able ones, take longer to dry than non-silicone. Check the specs before using outdoors: many of the best caulks are suitable for both interior and exterior. 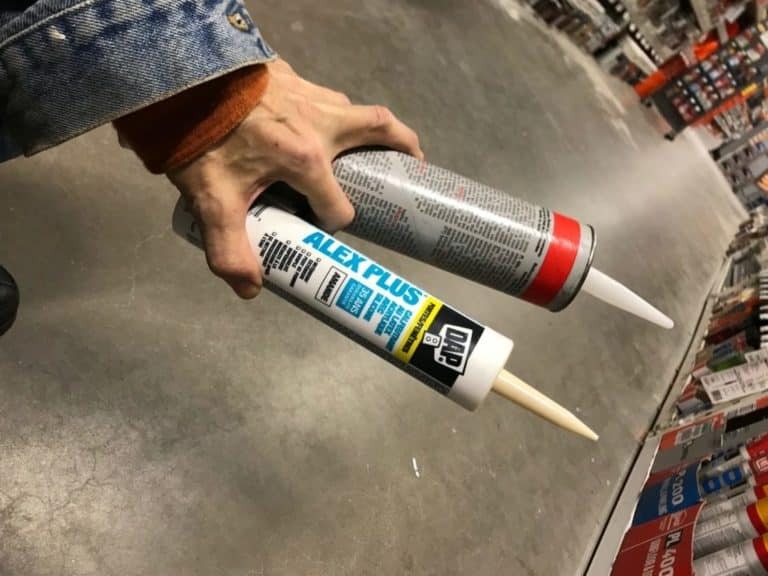 The #1, go-to product I have used all my life is here at a very good price: the painter’s indoor/outdoor caulk from DAP . If it gets wet, go the full monty: silicone caulk (our pick can be painted, but does not have to be painted). Even the best caulk made of silicon is toxic: read the warning section at the bottom! 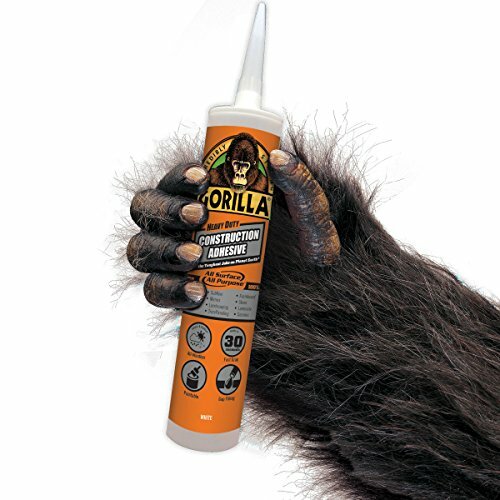 Use the best silicone product today: paintable Gorrilla (company website). This is the very best caulk for silicone caulking applications on the market. It comes ina caulk gun tube or in hand-squeeze tubes. For cracks beyond help, try These do last. Look around for other colors if your tub is not white. How much to buy? One hand squeeze tube will do a tub if your cracks are small. Don’t use to replace grout. Have a big tub or shower? You’ll need a full tube or several hand-squeeze tubes. Sidewalk cracks? Save your mothers’ backs with concrete caulk: a case is a very good deal. It keeps water out of your pavement to extend lifespan. Grout? Comes in 3 colors: beige, gray and redwood. Butyl Rubber caulk is suitable for always-wet applications – just read about how to get good bonding. More? You bet. Epoxy, rubber, resin, steel, yes, steel. It goes on and on. Very rare that you will need any of these, but…they are listed here. Any questions? I’ll try to help. 4. Glue comes in a tube: ba-da-boom. Genius. Dap Construction adhesive comes in a tube and is the best deal in glue. Summary: When I was young my first employer taught me about the best caulk. 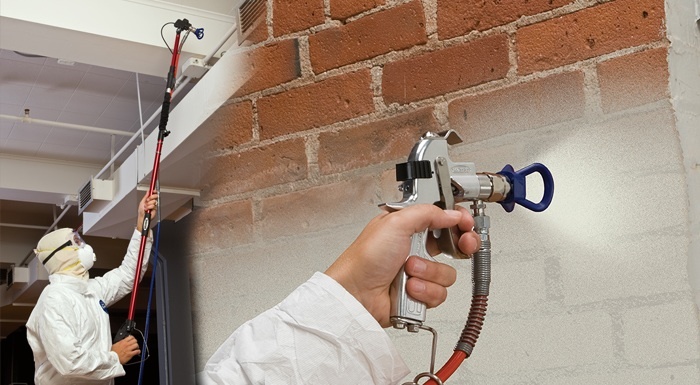 If you have any questions about how to use a caulking gun or anything else, let us know in the comments. You only need silicone where you splash water: most are very toxic and difficult (messy) to use, and where you have porous surfaces (it does not bond well). Use gloves, please wear a respirator: very important – the best respirator is linked in Part 7, below) and open windows. 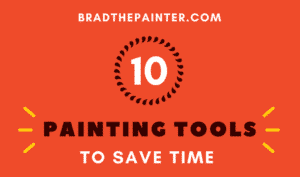 Some people use painter's tape to keep the bead of caulk small: that is good if you are new at this. You usually do need to use silicone for glass, tile etc, but you should know that it is quite hard to remove after it cures. Let fresh silicone caulk dry overnight, 24 hours before using the shower cured and 100 percent waterproof. Even fast-drying products should be given 6-12 hours to cure before using the shower. Silicone caulk is very sticky and cannot be washed up with water. Use rubbing alcohol* to clean up before it dries. Full rubber gloves are a good idea as it sticks to hands like glue. *Read label: some types use paint thinner/mineral spirits to clean up. Open windows and doors near the caulk you wish to cure faster and keep the area warm. You can set up fans and/or dehumidifiers too. There is more under Section #1: “How to use caulk gun”. Look for How to use a caulking gun in a shower? If you are just doing this once and you don’t want to buy even the lowest priced caulk gun out there: yes, you can get by. You can buy caulks in a toothpaste type tube (silicone kitchen and bath and of course painter's acrylic caulk. So you really do not need to know how to use a caulking gun. These small tubes are a bit more expensive for what you get, but it is a good thing to have around. There is a construction grade glue as well. Please see my video below for what to do if your nozzle becomes clogged beyond saving: you don’t have to trash it! How to use caulk gun you make yourself (and this is in the video below). Use a T-shaped stick (such as the handle of a hammer): Put the stick into the back of the tube and just push the caulk out by pulling the tube back into your shoulder or chest! That’s how to use a caulking gun with no caulking gun!